Yummy Christmas Cookie recipes and cookie recipes for the entire year from Carol Field Dahlstrom. Digital downloads for only $1.00! Everyone loves cookies, cakes, and other sweet treats. Try some of these clever decorating ideas for your next party! Scroll down on this page and see all of the wonderful cookies and cakes we have for you! 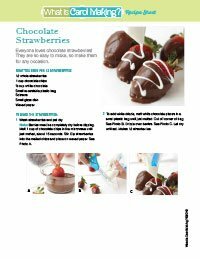 Simply click on the pictures or links to receive your free PDF download of the recipes. It couldn't be easier! Celebrate the luck of the Irish by serving these easy-to-make Shamrock Muffins. All the instructions are on the Recipe Sheet, above. Download the Recipe Sheet and tips for making these clever shamrock cupcakes. Aren't these the prettiest cakes? My friend Jennifer Peterson designed these cakes! She is a cookie and cake artist! But you can do this too using purchased fondant. 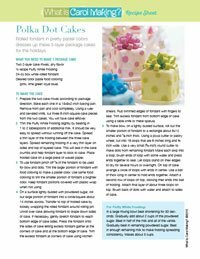 The fondant is rolled and cut to make polka dots and pretty bows for a festive little holiday cakes. 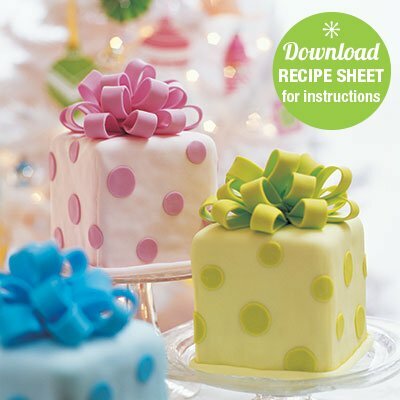 Each sweet little cake is only 6x6-inches. After they are all dressed up, put them on a cake stand for a centerpiece. All the instructions are on the Recipe Sheet. 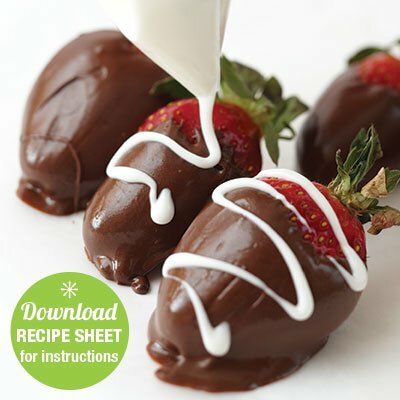 Download the Recipe Sheet at the top of this page. Wow—these little cookies are almost like little works of art. 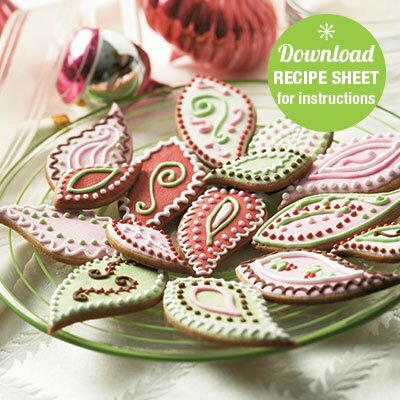 They look hard to do but they are easy because you just keep making lines and dots with your frosting! 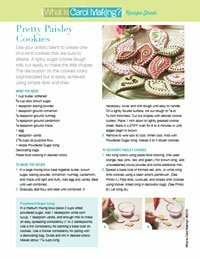 You'll love the cookie recipe too! It is a spice cut-out cookie with cinnamon, cardamon, and nutmeg. Wow, are they yummy! Download the Recipe Sheet at the top of this page.